The sleek design of your flat-screen TV is a beautiful feature. Unfortunately, there’s little room left for speakers. That’s why dialogue and quiet passages can be so hard to hear. 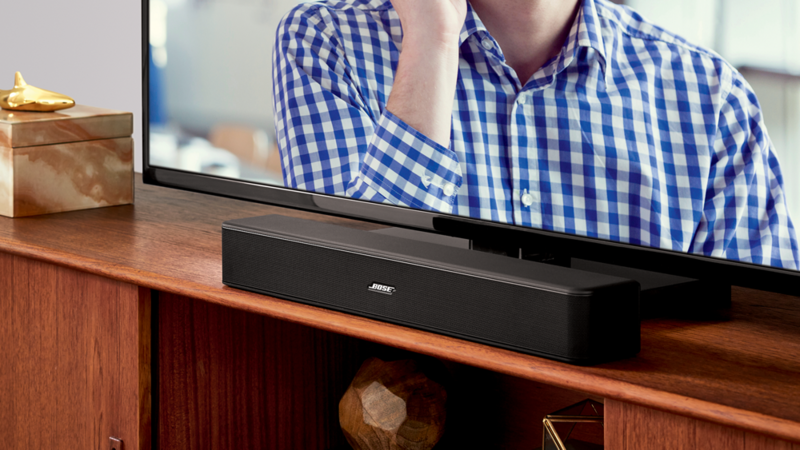 The Solo 5 TV sound system is an easy solution, with advanced technologies that deliver the clear audio your TV can’t. And dialogue mode makes every word even easier to understand without having to adjust the volume from scene to scene. In fact, “setup” may be an overstatement. Simply connect the Solo 5 system to your TV with just one audio cable (optical, coaxial or analogue, in order of preference). The system automatically knows which one you’ve used. 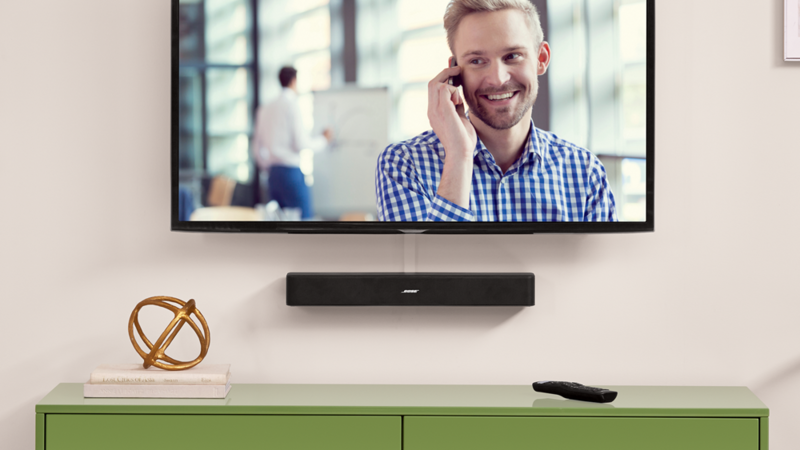 The soundbar is so versatile you can place it almost anywhere, whether it’s in front of the TV, on a shelf or even mounted to the wall. Dramatic programmes. Live concerts. Suspenseful series. There are times you just know you’ll want a little more bass when watching TV. 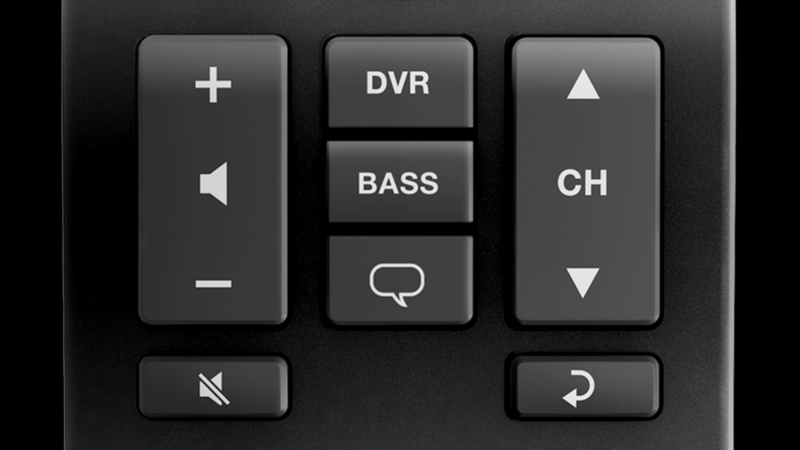 Go ahead—you can adjust the bass control to your liking with the remote control’s bass control button. Take command of your Blu-ray Disc™ player, Bluetooth® connectivity and gaming system with the included universal remote control. Easily control both the system and most video sources connected to your TV.